A single full-length practice test, with the same number of questions as the Iowa Assessmentsq Levels 13-14 exam. 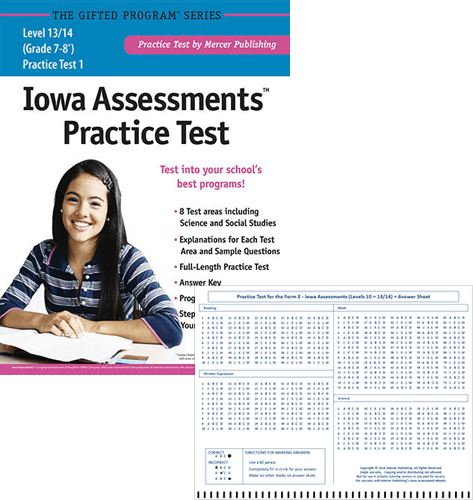 Levels 13-14 is the Iowa Assessments version of the test given to children in Grades 7-8. Each practice test is in the same format as the actual exam. Each book contains a single full-length practice test with eight subtests including Science and Social Studies.